While every Bonnaroo band matters, there are, each year, a handful of artists whose story, whose struggle, and whose path to ending up in Manchester have so much more weight and meaning on a global scale. 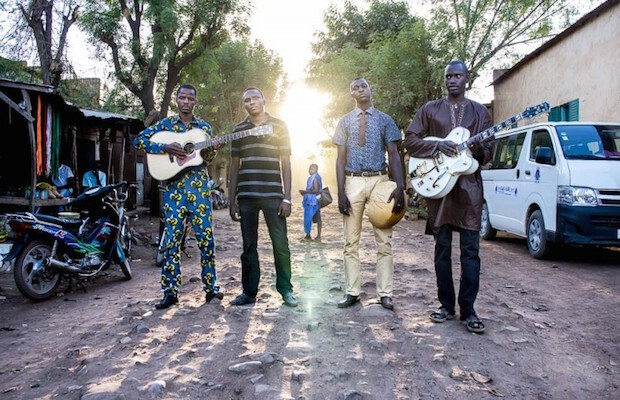 Mali’s Songhoy Blues are one such act. Members of an ethnic group known as the Songhai (or Songhay), the group grew up near Timbuktu, where their people, once the majority, are largely now relegated to the banks of the Niger River. Bandmates Oumar Touré and Aliou Touré grew up not only influenced by the rich, deep history and culture of their Songhai upbringing, but also by hip hop, r&b, and classic rock, which would plant the foundation of their band. Adding Garba Touré and Nathanial “Nat” Dembele, they formed Songhoy Blues, named for the struggle of their people after civil unrest forced them into exile in the city of Bamako. In their new home, the band were soon discovered by Africa Express, and quickly found themselves working with the Yeah Yeah Yeahs’ Nick Zinner on the track “Soubour,” which would help introduce them to a global audience. Combining elements of blues, punk, classic rock, r&b, and world music, Songhoy Blues are far from just a foreign commodity, though their thematic focus is often reflective of their cultural struggle. Already, the band have performed with the likes of Damon Albarn, Alabama Shakes, and more, and their debut full-length, Music in Exile, released last year through Transgressive, has been racking up critical accolades. Songhoy Blues were even the feature of a new documentary, They Will Have To Kill Us First: Malian Music In Exile, which premiered last month at SXSW and documents the struggle of Malian musicians combating extremist forces attempting to ban music. A band built around meaning, struggle, and perseverance, Songhoy Blues wholeheartedly earned their way onto this year’s Bonnaroo bill, and they more than deserve your support.